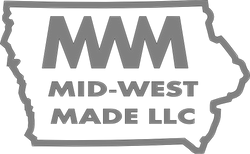 Our line of planter/grain drill parts feature many parts Made In USA by Mid-West Made LLC. These parts will have a MWM @ the beginning of the part number. All other numbers are parts we offer. We offer parts for John Deere, White, Case/IH, and other models. We also have used parts for select models of planters and grain drills. Take a look under our used parts section.